A perfect climate that makes it possible to enjoy life all the year around. MNM Costa Blanca are Estate Agents in Denia but we have offices all over the area including the ever popular Els Poblets. We have a large variety of property for sale in Denia from townhouses to fincas, and villas to flats, there is nothing too big or too small for us to help you with. Denia property is extremely popular from tourists all over the world as well as Spanish locals. It’s the prefect blend of old and new Spain so whether you’re looking for a holiday home or your new dream home, MNM Costa Blanca is your perfect estate agent in Denia. The whole area is dominated by orange and lemon groves and has a scattering of Roman and Islamic ruin sites. The scenery is varied and spectacular, from the Montgó Mountain to the beautiful sandy beaches, there is always something to take your breath away. Denia is mostly known for it’s very large port, which houses boats of all shapes and sizes. Plus there is a daily ferry to take you to the white isle of Ibiza in just 2 hours. It’s easy to see why people choose use to be their estate agent in Denia as we love the area just as much as you! When you visit, and eventually move here, ensure you take the time to enjoy the crystal clear waters of the Mediterranean which stay warm for many more months of the year. Denia is also famous for it’s beaches, which have been awarded the prestigious "Blue Flag of Europe", no wonder property for sale in Denia is snapped up so quickly! Plots in luxury resort. Wonderful sea views, just 10 minutes to Denia and the sandy beaches. 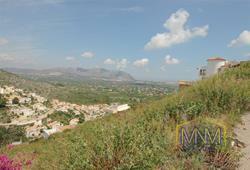 In this area, with luxury villas, we offer you a large number of very nice plots, some with and other without incline. Very natural area with beautiful local flora. Mountain views and sea views, this resort offers you exceptional places to enjoy life for a very friendly price. Plots from 800 sqm up to 1870 sqm. An opportunity. Plots in luxury resort. Wondeful views, just 10 minutes to Denia and the sandy beaches. In this area, with luxury villas, we offer you a large number of very nice plots, some with and other without incline. Very natural area, with beautiful local flora. Mountain views and sea views, this resort offers you exceptional places to enjoy life, for a very friendly price. Plots from 1400 sqm. An opportunity. Plots in luxury resort. Wonderful sea views, just 10 minutes to Denia and the sandy beaches. In this area, with luxury villas, we offer you a large number of very nice plots, some with and other without incline. Very natural area, with beautiful local flora. Mountain views and sea views, this resort offers you exceptional places to enjoy life, for a very friendly price. Plots from 1870 sqm. Denia Region, La Sella, beautiful apartment, 1st floor level, 2 beds, 1 bath, nice communal area. This apartment is in very good conditions and located in the well known area La Sella, Denia. It's perfect for family holidays or rental business, or longer seasons. A good investment property. La Sella golf, Denia. beautiful apartment, first floor, 2 beds, 1 bath, nice communal area. This apartment is in very good conditions and located in the well known area La Sella, Denia. It's perfect for family holidays or rental business, or longer seasons. A good investment property. BARGAIN! Very nice semi detached bungalow for sale in Denia area, with 2 bedrooms and 1 bathroom, covered terrace and built in 2005. Spaceful and south facing, with a large communal garden and pool, very quiet area and just 2 minutes walking from all amenities of the typical Spanish village where it belongs to. Just 10 minutes by car to the sandy beaches of Denia. The bungalow is perfect as holiday home or for long term stays under the Spanish sun. A special offer! 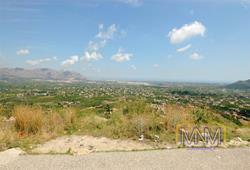 Denia / Els Poblets, beautiful flat plot of 603 sqm. This area is residential and offers very actual infrastructure; and the plot is completely prepared to be built. Here, you can realize a building Project of max. 241 sqm; on two storeys. A great offer in the very best position. Stunning panoramic mountain views! 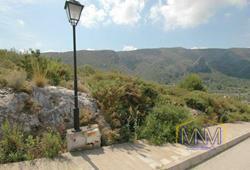 Plot, 800 sqm, beautiful flat, modern infrastructure and on walking distance from the village. With recent high class villas around and with beautiful panoramic mountain views. International area, only 5 minutes to the shopping mall, only 10 minutes to the beaches and 15 minutes to Denia. We are at your service to realize your Spanish dream villa on this plot! Property for sale in Denia / Beniarbeig. NOW AT A REDUCED PRICE OF 129.000.- Euros. With 3 bedrooms, in perfect condition and very, very cute. A nice Townhouse, built in 1990 and full of charm. Perfect to enjoy the whole year, or even as investment... ONLY 8 MINUTES TO THE BEACH, a very good offer! 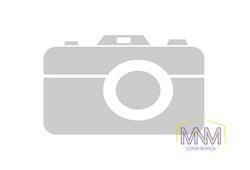 Property for sale in Denia / Vergel. With 3 bedrooms, in perfect condition and very, very cute. A nice bungalow, built in 2000 and full of charm. Perfect to enjoy the whole year, or even as investment... ONLY 400M TO THE SANDY BEACH, a very good offer! © MNMCostaBlanca Estate Agents in Denia - Immobilien Denia - Inmobilaira Denia, Makelaars Denia. Property for Sale in Denia, Javea, Moraira - Villas, Apartments, Fincas - Chalets en Venta Denia, Huis Kopen Denia, Byty na prodej Denia, Domy na prodej Denia, Reality Španělsko, Reality Costablanca, Nemovitosti Denia, Nemovitosti Španělsko, Reality Javea, Nemovitosti Javea, Luxusní vily ve Španělsku na prodej, Luxusní vily u moře na prodej - All Rights Reserved.